It has been a bad year so far with lots more cats coming in than usual, including more strays as many cats are being dumped. We do wish people would stop getting cats/kittens off the internet as this often leads to problems and the sanctuaries end up picking up the pieces. One 83 year old lady called in tears this week as she had been badly bitten a few times by the cat she had got through the internet – it was obviously a problem cat & the unscrupulous owner had seen the old lady as an easy way to offload the cat. Please use your local sanctuary as they are ethical!! The problem cat will probably live out her life at Whinnybank. Thanks to Jan for her help on Sunday changing all the feral cats’ bedding – a good job done! 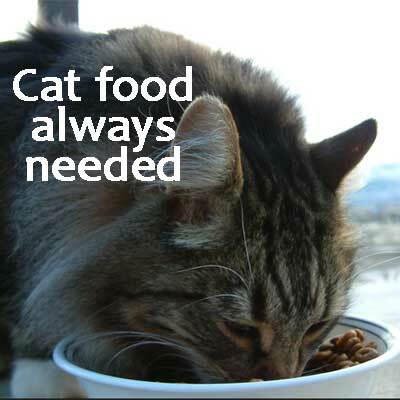 As always we are in need of cat food – any donations gratefully received.